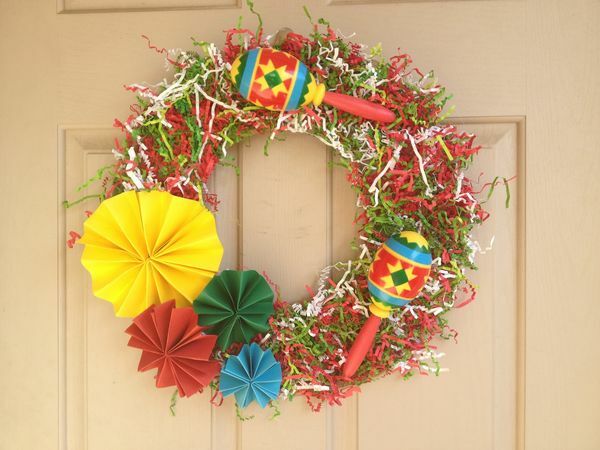 When you proudly display this Cinco de Mayo wreath on your door, you better believe your guests will be in party mode. This was made from a wreath and topped with festive ribbons, maracas and more. Let your creative side fly!